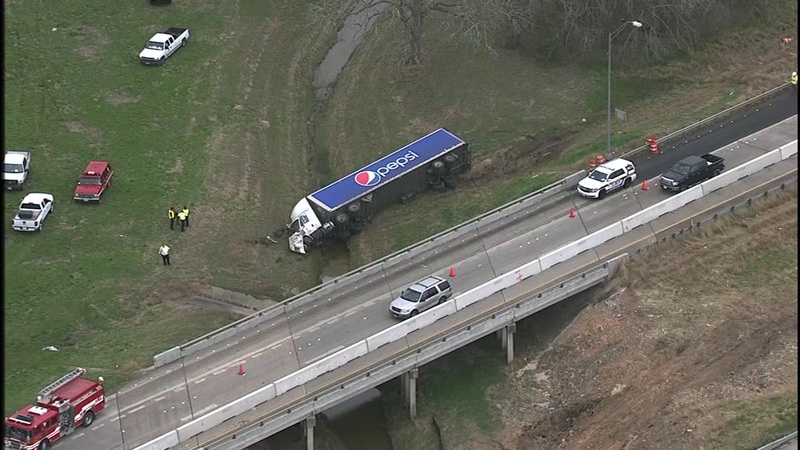 FORT BEND COUNTY, TX -- A Pepsi 18-wheeler crashed into a creek in Fort Bend County, causing traffic to move a little slower than usual Monday afternoon. The truck is seen on its side in the creek along Highway 59 and FM 2919. There's no word if there are any injuries.